We’ve all had to navigate around a trip hazard on an uneven concrete footpath or slab. Many have likely stubbed their toe on an unexpected protrusion and some may have even had a dangerous fall as a result of an uneven concrete path. To avoid the risk of trip hazards a simple an effective use of concrete grinding can smooth uneven surfaces to make life easier, and safer. What causes a concrete path trip hazard? Concrete slabs move over time due to a number of factors. Erosion beneath the slab can cause it to sink. Tree roots growing beneath a slab can push a slab upwards. And, newly poured slabs that connect to old established slabs can expand and contract causing further gaps to occur during the curing process. There are plenty of ways to ensure a slab is laid properly but over time it is natural to have some unavoidable shift between concrete slabs exposing a trip hazard. How can you remove concrete path trip hazards? 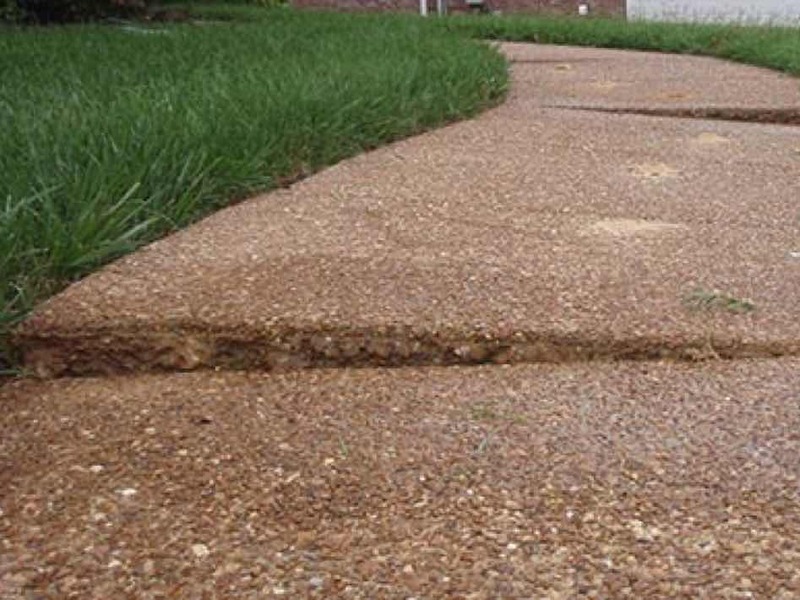 Replacing a section of concrete path is both costly and time-consuming. In some situations, it is also simply not possible to remove the offending slab as it may be connected to a larger structure. Often a concrete grinder is the simplest most effective solution to get an uneven concrete surface back to a trip hazard free condition. How does concrete grinding work? Much like a heavy duty lawnmower, a concrete grinder has what is known as scarifiers. 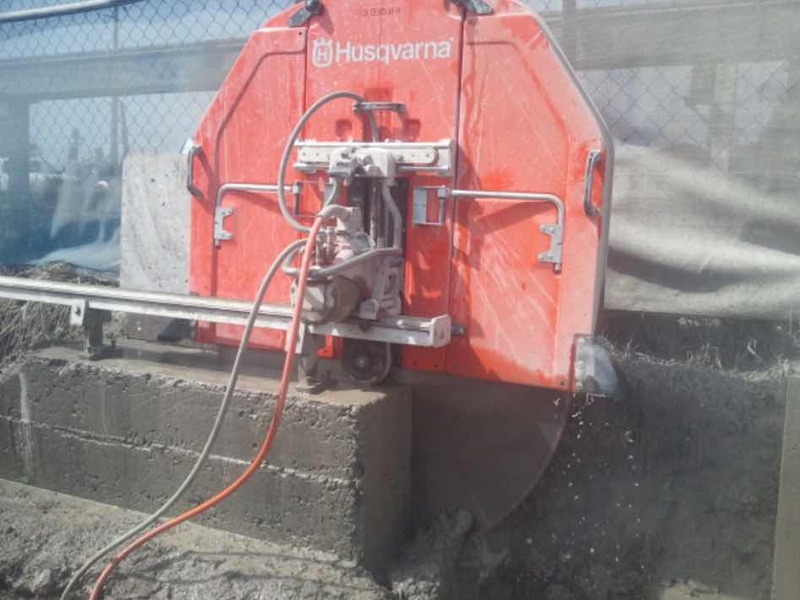 Scarifiers use tungsten cutting plates which are attached to a fast rotating drum which can effectively remove an even layer of concrete on each pass. The depth of each pass on the concrete varies according to the power of the scarifying machine and hardness of the concrete being removed. 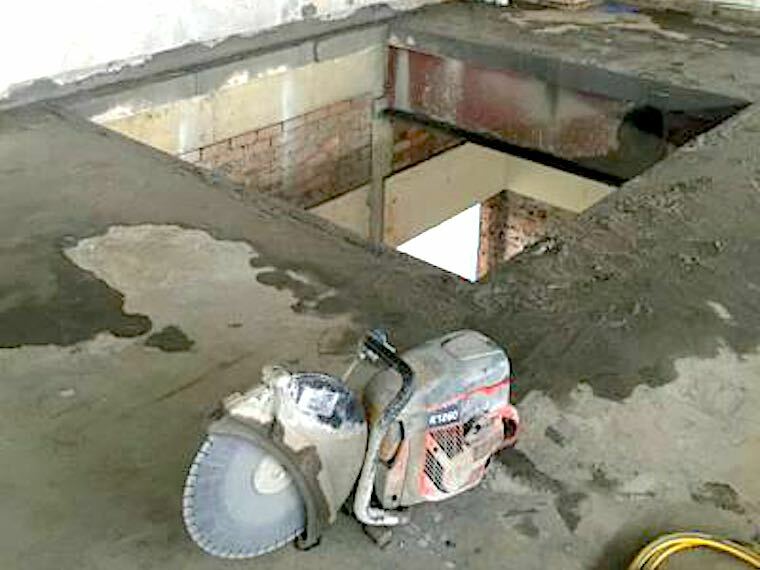 Concrete grinding like any form of concrete cutting generates harmful concrete dust. Appropriate exhaust extraction is required to capture the concrete dust along with an adequate respirator. Eye protection, ear protection and sturdy footwear is essential to avoid injury.